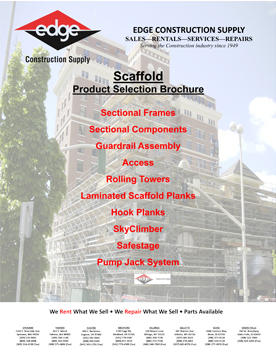 From scissor lifts to fastening, baker scaffolding to span planks, and breaking concrete to material handling, our rental department really does “rent what we sell." 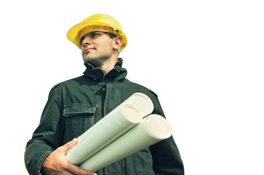 Our knowledgeable staff can help you identify what tools work best for your specific job in your unique environment. 9 Good Reasons to Rent! Equipment rented on a day-to-day basis includes full maintenance from Edge's professionally trained & certified technicians. Without exception, all equipment is subject to occasional breakdown in use. When rented equipment breaks down, it is immediately replaced or repaired by certified Edge repair technicians. Better cost control is possible with rented equipment. Storage facilities are seldom needed if you utilize our rental program. Faster and better equipment is constantly appearing as manufacturers battle for a market that is extremely aware of rising costs of labor. Ownership involves the risk of being handicapped with equipment, especially the more expensive items, which are slower and less efficient than newer models. 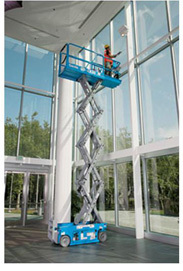 Ownership often forces another type of inefficiency through the use of the wrong size or type of equipment for the job. Trying to "Make it Work" can lead to lost time, low quality work, increased costs, and potential liability factors. Equipment ownership becomes particularly taxing when expensive equipment must lie idle when not in use. There are no personal or business property taxes or license costs when renting. Renting frees up capital for other, potentially more profitable uses. Click here for all 9 of our branch locations info.